The traditional Thalipeeth or the Maharashtrian Pancake, brings back those beautiful sepia memories of my childhood, every time I cook it even today. My mum used to make this as a tea-time snack. I remember queuing up alongside my little bro and sis, waiting for her to toss it into my plate. I always loved those slightly burnt edges and used to save them for the end. Now, it is my best friend for those lazy afternoons when lunch just doesn’t wish to happen. Whoever says fast food is unhealthy, this one humbly begs to differ. Mix together all the ingredients in a bowl and add water enough to make a thick batter. Drizzle teeny bit of oil in a fry pan, preferably a non-stick one. Spoon the batter into the pan and spread it to form a pancake of around 2 mm thickness. When the top side starts to blister, flip it over and cook the other side. Cook both sides till golden brown. Drizzle more oil from sides of the pancake (only if needed). I’d noticed something very prominent in the Goa Marathon my husband had participated in. It was the pre-evening pasta party. Why specifically Pasta Party…was the question. After bit of quizzing with the cognoscenti, I realized its significance. It was a planned diet of stuffing the marathoners with carbs before the run. Its basically stocking the energy before so that it can be consumed later while running. So this time before the celebrated Mumbai Marathon, I decided to treat him myself… but with my own little spin to it. 1. Preheat oven to 180 C. Grease a medium baking dish. 2. Cook pasta as per the packet’s instructions. Drain and leave aside. Remember, not to overcook it. 3. Melt butter in a medium, non-stick saucepan over medium heat. Add a tsp of oil. It prevents butter from burning. 4. Add the chopped garlic and saute till it releases the aroma. 5. Add flour and stir. Add bit by bit to avoid lumps. 6. Now add milk slowly and stir. Again, to avoid lumps. 7. Add the remaining milk and cream and keep stirring till it thickens a bit. Simmer while you keep stirring for a longer time if you want the sauce really thick. 8. Add the Cheese spread and stir till it melts and is mixed properly. 9. Season with oregano, salt and pepper. 10. Now tumble in the pasta and mix lightly without hurting and mashing it up. 11. Spoon in this mixture into the baking dish. 12. 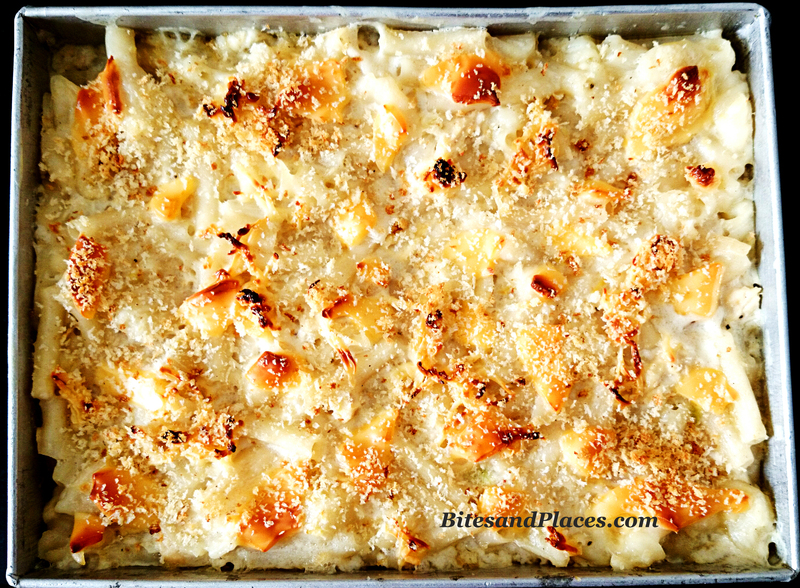 Grate the Pasta cheese / Parmesan cheese. 14. Bake for 20-25 minutes or till the surface looks browned and crisped. 15. Remove from the oven and let it stand for 10 minutes. 16. Serve with omlettes, fried chicken or anything you like. I had it simply with the hot and sweet sauce. P.S. : There are whole lot of permutations-combinations that can be done here. Don’t wanna add those extra inches to your waistline, skip the Cheese (cheese spread and grated cheese) altogether. I was at my sluggish best today. To top it up, my cook didn’t turn up and I knew I had to don her hat. Not in the mood to cook a detailed meal, I wanted to make something super-quick, easy without compromising on the taste. Need is the mother of all inventions! 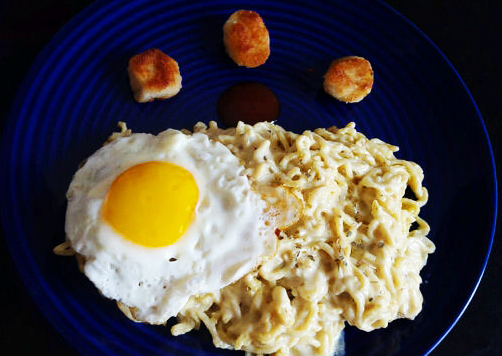 My Alfredo Maggie recipe was born out of one such needs… to make a quick yet delectable lunch. 1. Cook Maggie as per the instructions on the packet and keep it aside. 2. Melt butter in a medium, non-stick saucepan over medium heat. Add a tsp of oil. It prevents butter from burning. 3. Add the chopped garlic and stir till it releases the aroma. 4. Add flour and stir. 5. Add the cream cheese and stir till it melts and is mixed properly. 6. Now add milk and keep stirring till it thickens a bit. Simmer while you keep stirring for a longer time if you want the sauce really thick. 7. Season with oregano, salt and pepper. 8. Now tumble in the cooked Maggie and mix lightly with a fork without hurting and mashing it up. 9. Serve it with a sunny-side up egg as I did or any accompaniment you wish and dig in. 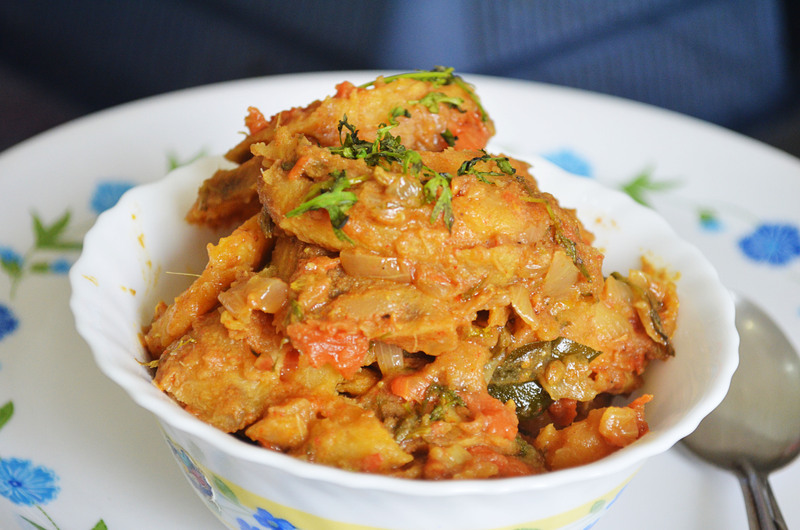 Its my favorite monsoon snack of all time and is famous in most parts of India. 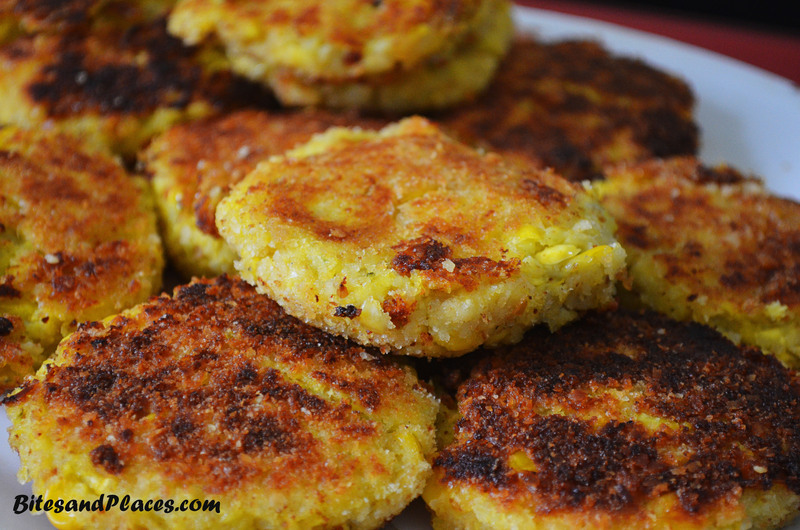 Corn cutlets also known as corn patties or corn fritters can be enjoyed any time of the day; as an accompaniment with meals or even with smoking hot ginger tea in he evenings. The golden yellow colour of the corn makes this snack all the more glamorous. I’ve learned this recipe from my mother. 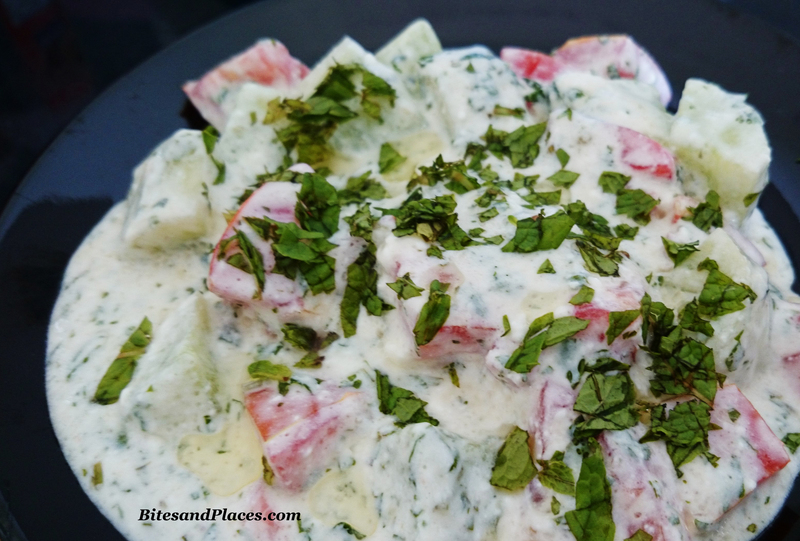 Its a simple one-churn, no-fuss recipe. It amazes me to find so many other variations of a cutlet recipe. But being a bit of a slug, I’m happy with this one. 2. 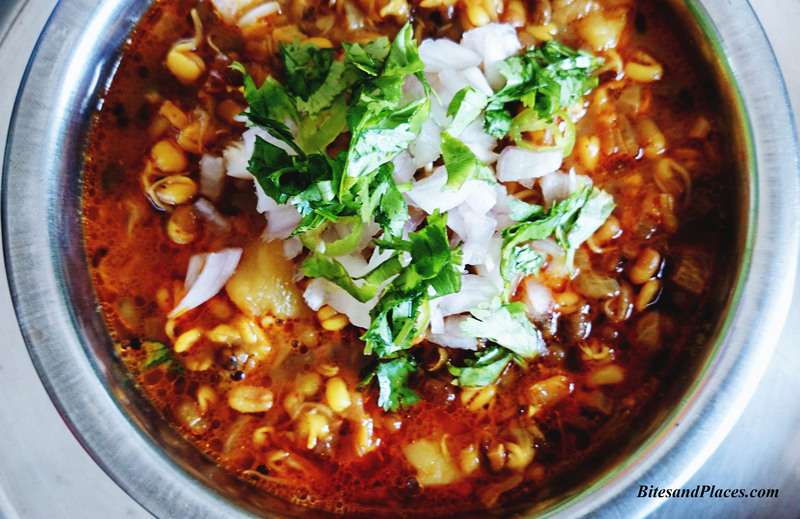 In a mixer or food processor, coarsely grind the corn kernels, onions, green chilli, coriander and ginger. Don’t make it too fine. 3. Add this mixture to mashed potatoes. 4. Now add salt and asafoetida and mix well. 6. Make a medium sized ball from the mixture, flatten it and shape it in to a round cutlet. Make similar cutlets from the rest of the mixture. 7. Coat the cutlets in bread-crumbs. P.S. : You can also use soaked bread instead of mashed potatoes to bind the mixture. The bread crumbs coating can be optional. I am a great fan of banana in all its varieties, specially the yellow skinned (elaichi) ones. This is one humble fruit that’s perennial and there to serve you at all times of the year. Its loaded with nutrition and pack a good energy punch. If you think bananas are just for monkeys, think again. Reasons – Bananas combat depression, make you smarter, cure hangovers, relieve morning sickness, protect against kidney cancer, diabetes, osteoporosis and blindness. They can cure the itch of a mosquito bite and put a great shine on your shoes. Topping it all, its a blessing for insomniacs like me. Raw bananas serve as a good starter when deep fried as chips. This time I thought why not make it as a part of the main-course. Foodies with a sweet n sour tooth will enjoy this one. 2. Put them in a bowl, add salt, turmeric powder, ½ tsp red chilli powder, 1 tbsp ginger paste and mix well. 4. Chop onion and tomato. P.S. : Skip the tamarind paste if you want it less sour. 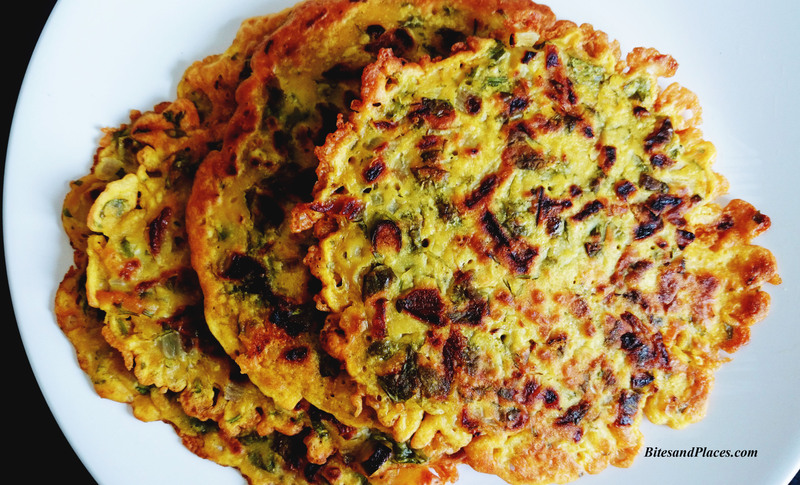 When served hot, its a great companion for chapatis, rotis or appams. Infact, I also loved it just like that even when it was cold.